Actually, it's more about 500 Days of Summer. There's a really interesting quote in Filmstar’s story about that movie. As good as it was, there was an element of preciousness about 500 Days. It's almost too stylish and cool for its own good. It undermines the gritty realism of the "love hurts" story they're trying to tell. 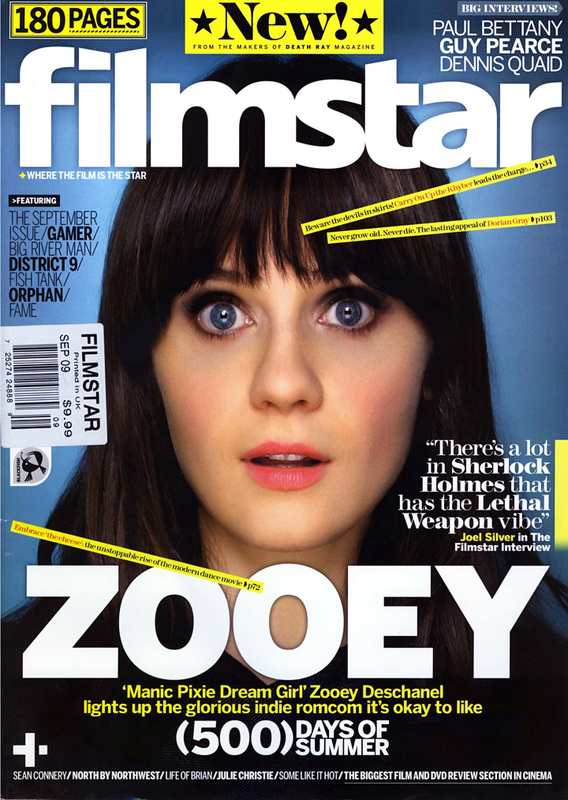 But after reading this article I found out that, at least with respect to Zooey's character, that slickness was somewhat intentional. Summer is also figurative of a certain type of indie movie character. As Webb explains, "There's this term - Manic Pixie Dream Girl - which is this idealised super-attractive quirky girl. Typically this character is sort of consumed by the male, changes his life and it's happily ever after. But we wanted to use that idea and extract some sort of consequence from it - she doesn't solve your problems, she doesn't make you happy. One of the underlying themes of the movie is that happiness lies within, not in the big blue eyes of the girl in the cubicle down the hall. That was a little bit tricky, but Zooey...she has great sense of style, she has this credibility, which is really fantastic, and it's hard not to like her, to be attracted to her. She lives in that idealised box that we have - but there's a consequence to that, there's a consequence to these people not being real, and that's what the end of the movie is trying to embrace."